Contemporary chic yet timeless easy-care pique bedding updates the classic quilted look with a handsomely finished with a straight hem. Choose your color bedding then the applique or thread color and font. Let us do the rest. 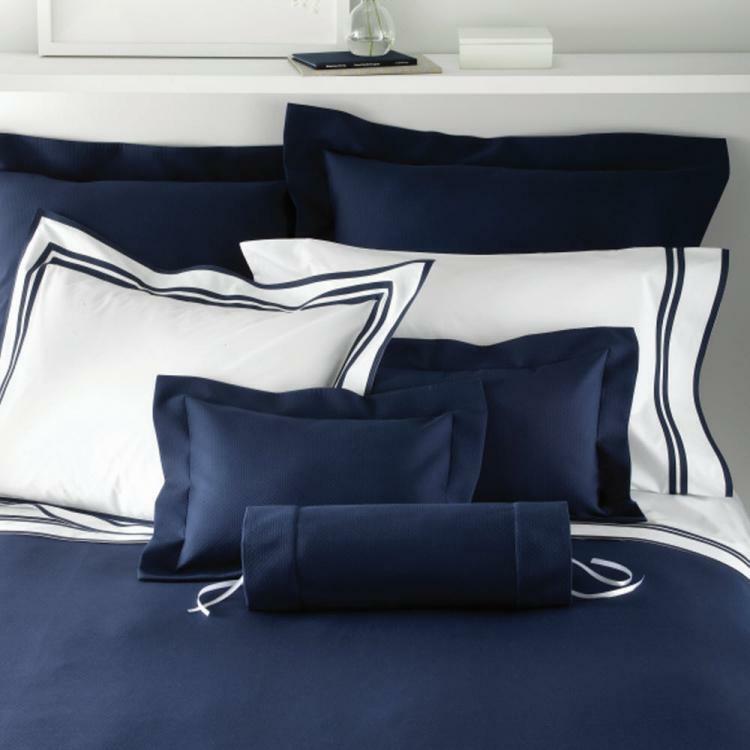 This is the perfect bedding for a classic bedding to pair with any of our sheets for a clean classic yet affordable bedding set. Our washable 60% Cotton and 40 % Polyester diamond pique makes this the perfect bedding that you can machine wash and will look great for years to come. We lov ethe new color fo 2019- Bone- Were you looking for an off white-?Here it is not too yellow!